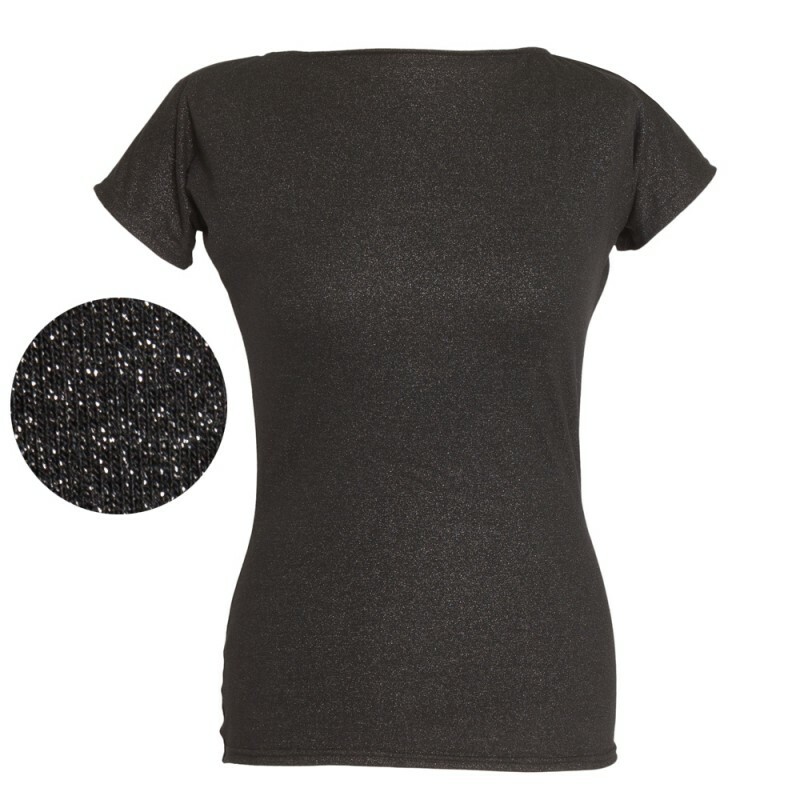 A slash neck t-shirt is a great wardrobe staple that goes with so many things! 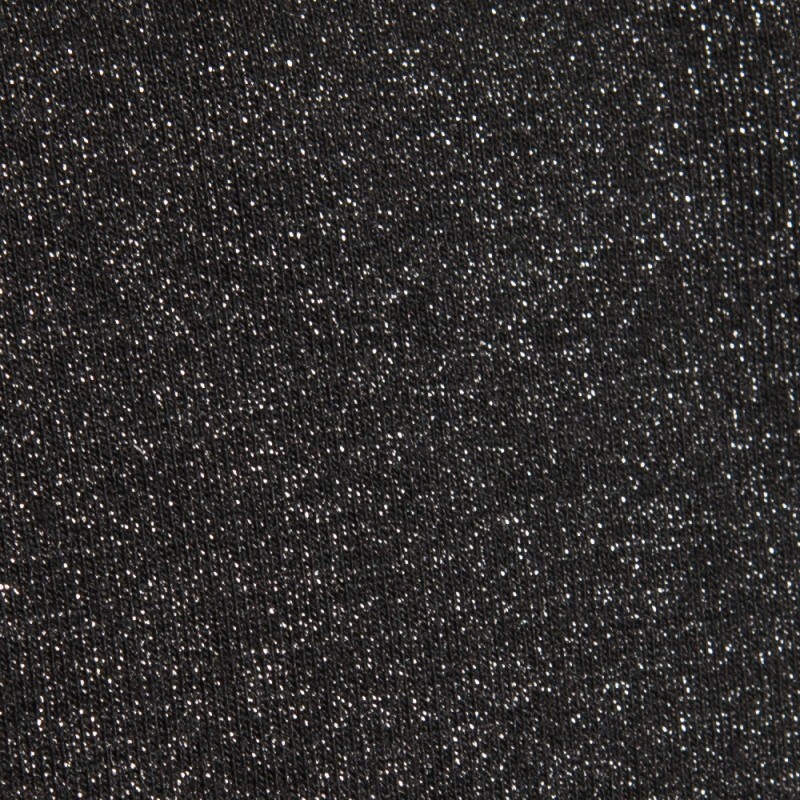 This colourway is made from a black mid weight jersey with a good stretch that is printed with a subtle silver sparkle! 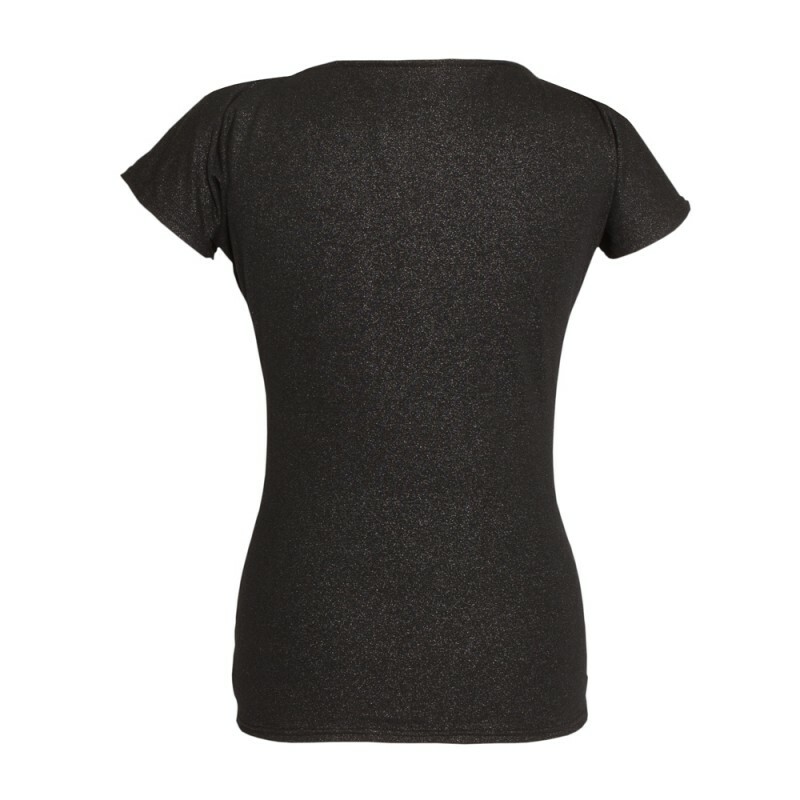 This top must be either machine washed cold and inside out OR washed by hand to preserve the silver print. Machine washing on a regular wash may degrade the print.